In drama class we are working on a topic about comedy. Here is a comedy timeline. With this you can really see how comedy has changed overtime. Greek comedy goes all the way back to 6th century BCE. Although we do not know the precise details about the origins of Greek comedy play, but the first indication of this was on a pottery from 6th century BCE. On many potteries the design represents men dressed as horses and other exaggerated costumes. Aristophanes and Menander’s work were the most famous playwrights at the time, they’re work consisted of poking fun at politicians, philosophers and other fellow artists. At the same time they gave a indirect insight to Greek society, such as institutions, religion and etc. Which set the Greek’s sense of humor. Aristophanes’s work is one of the most important Old Comedy, regardless of 40 pieces of comedy routines he has written, only 11 was able to survive till this day. After the fall of Rome, the late Middle Ages came to known as “dark ages”. The Church was the only stable “government” at the time, and since comedy included a factor of happiness and laughter they wanted to reduce the happy, critical aspects of comedy. Even with this drastic change, comedy still survived through time and the medieval festivals and folks. Mid 16th century, Court Jesters were employed as entertainers. Which entertained royalties such as Kings and Queens. They entertained them by wide varieties of skills like, songs, music, storytelling, acrobatic,magic and much more. Jesters are almost like clowns in circuses in the modern age. Jesters not only entertained but had other jobs that were important. They had to deliver bad news to the royalties and were expected to make the news lighter with their comical acts. During the 16th century, also the renaissance period comedy remarkably changed. From having actual laughter and comedic aspects in the play, like it is now, it changed to happy endings which resulted into marriage or some type of reunion and wasn’t actually “funny”. This was because of a famous artist called Shakespeare. 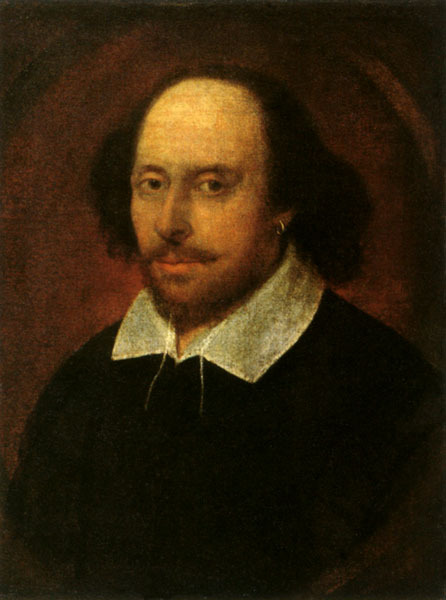 William Shakespeare was a renaissance men, meaning he was versatile and was outstanding at most things. His work was considered the greatest comedies of his time because his plays poked at human weaknesses, but always ended in happy endings. He also did tragedies, which always ended in death. Even with his contrasting work he still managed to entertain his audiences in many ways. One of his famous play “Romeo and Juliet” is, still to this day very famous. 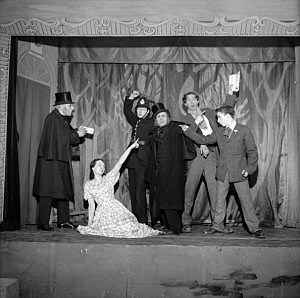 From late 18h century to early 19th century Melodrama was very popular. Melodrama is a type of comedy where the plot or the character is overly exaggerated. Stock characters are used and are usually very simply drawn and can easily be stereotyped. For example a hero, he is portrayed as moral, handsome and manly while a villain can be drawn as dishonest or greedy. Melodramatic comedy takes normal daily life situation and give it a dramatic twist, such as fake murders. To empathize and exaggerate even more there will be a background music which will add tension to the scene and supports the storyline. Circus comedy came around late 1970’s and early 80’s. Clowns has been a big aspect in comedy from the start, but without the label of “clowns”. Typically, clowns are fun, playful and very entertaining to watch. There are usually the Whiteface clown, Auguste clown, the Tramp or hobo and the character clown, which can be anything. A lot of clowns are included in circuses. 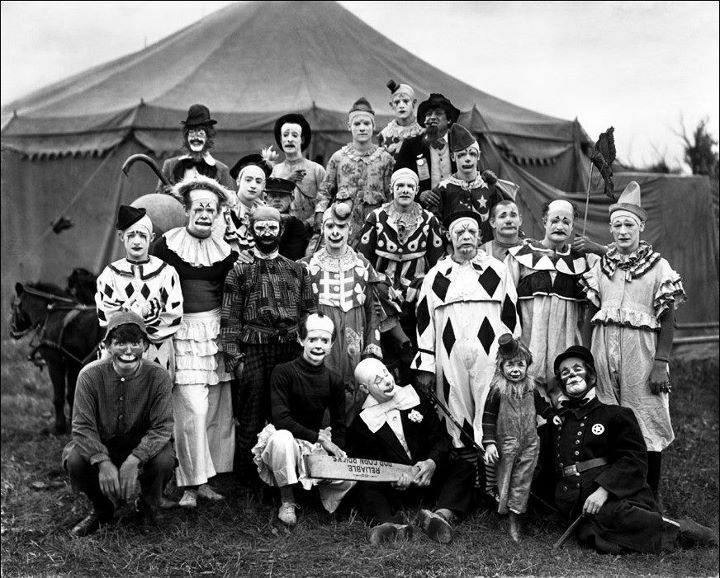 Circus is a company that entertain audience with different type of person and tricks, like clowns, trained animals, acrobats, magic tricks and etc. They usually succeed in what they are doing which “wows” the audience. However the clown usually doesn’t succeed and does something silly, which adds the “fail” factor to the show. Cinematic comedy can be seen most places, tv, theatre, movies, films and much more. It has been a big part of comedy since it relies on your physical gestures and appearance, facial expressions to entertain the audience. Without exaggerating them it wouldn’t tell the story to the audience and will not succeed to making them laugh. In partner work it gives the “mocking” feel because one can be fooling in the back and wouldn’t say a thing, which is commonly used in many silent films. Charlie Chaplin is one of the silent film comedian of the 19th century. He has been in many films and most of them were very successful and made his audiences hooked to his work. Chaplin told the comedian and film industry the importance of use of your body, physical posture/gesture and facial expressions, and has changed the way people see comedy. Beyond, Infinity. “Types of Clowns.” All About Clowns. SBI, 2009. Web. 24 May 2016. Bluey, Clown. “Clown History.” Clown Bluey. Clown Bluey, 2003. Web. 24 May 2016. Cartwright, Mark. “Ancient_Greek_Comedy.” Ancient History Encyclopedia. Ancient History Encyclopedia, 25 Mar. 2013. Web. 24 May 2016. Columbia. “Comedy.” Infoplease. Sandbox Networks Inc, 2012. Web. 24 May 2016. E, Riley. “Shakespearean Comedy.” The World of the Renaissance -. NRMS, 8 May 2012. Web. 24 May 2016. “Jester.” Wikipedia. Wikimedia Foundation, 22 May 2016. Web. 24 May 2016. “Medieval Theatre.” Wikipedia. Wikimedia Foundation, 22 Apr. 2016. Web. 24 May 2016. “Melodrama.” Wikipedia. Wikimedia Foundation, 22 May 2016. Web. 24 May 2016. “Silent Comedy.” Wikipedia. Wikimedia Foundation, 21 Oct. 2015. Web. 24 May 2016. Trumbull, Eric W. “Introduction to Theatre — Medieval Theatre.” Introduction to Theatre. NOVa, 16 Nov. 2007. Web. 24 May 2016. Amanda. Court Jester. Digital image. Made of Wynn. Made of Wynn, 07 July 2014. Web. 24 May 2016. Aristophanes. Digital image. Aristophanes. Moonstuck Drama Bookstore, n.d. Web. 24 May 2016. Castle, Tracey. Clowns. Digital image. Pinterest. Tracey Castle, n.d. Web. 24 May 2016. Charlie Chaplin. Digital image. IMDb. IMDb.com, 2016. Web. 24 May 2016. Mike, Grateful. Melodrama. Digital image. 101.9 King. Kingfm, 15 July 2012. Web. 24 May 2016. Taylor, John. William Shakespeare. Digital image. William Shakespeare. Lara E. Eakins, 2016. Web. 24 May 2016. Read more "History Of Comedy |Drama"
Read more "Unit 3 Reflection |English"
Read more "Unit 4 Reflection |Spanish"
Read more "Hiyaku Concert Reflection |Music"
Read more "Unit 3 Reflection |Spanish"
Read more "Hiyaku Focus Areas |Music"
Read more "3 Things I am Most Proud Of |Spanish"
Read more "Travel Agent and Client Oral|Spanish"
Read more "¿Cómo Prefieres Viajar? |Spanish"
Read more "Development of Australia and Brazil |I&S"